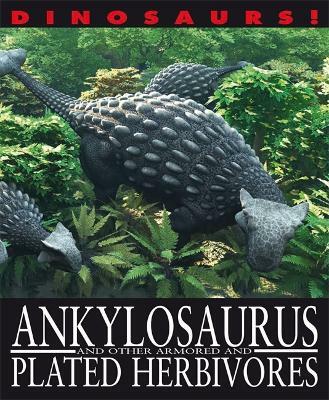 ANKYLOSAURUS and other armoured and plated herbivores. Included in the twelve dinosaurs featured are some of the most heavily armoured animals that ever roamed Earth. Some of these big, plodding herbivores were covered from head to toe in thick, leathery skin with arrays of protruding bony nodules and spikes. Others had huge plates rising out of their backs and sharp, spiky tails. Each title in the series, Dinosaurs! takes a close look at one particular type of dinosaur and reveals the facts about these incredible creatures.